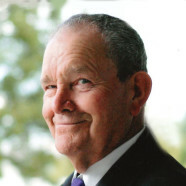 Thursday, March 21, 2019 4:00-8:00 p.m.
Friday, March 22, 2019 8:30-9:45 a.m.
Bernard O. Feldt, age 82, of Trenton, died Sunday, March 17, 2019 at Faith Care Center in Highland. He was born September 15, 1936 in Trenton, a son of the late Addison and Viola, nee Lindner, Feldt. In addition to his parents, he was preceded in death by a step-granddaughter, Alicia Williams; siblings, Dennis Feldt and wife Pamela, Forrest Feldt and wife Jenny, and Shirley Gruender and husband Robert; father-in-law and mother-in-law, LeRoy and Mabel, nee Ranz, Ruth; and sister-in-law and brother-in-law, Janelle and Alvin Schmitt. Surviving are his wife Gwen, nee Ruth, Feldt, of Trenton whom he married June 1, 1963 at the Mennonite Church in Summerfield; children, Laura Feldt of Louisville, KY, Brian (Lori) Feldt of Hoyleton, and Andrea Feldt of Trenton; grandchildren, Brianna Chatman, Maddy , Mike, Melia, and Sophie Feldt; step-grandchild, Max Williams; great-grandchildren, Carlee, Cheyenne, and Skylar Chatman; sisters-in-law and brothers-in-law, Dolores and Elton Leppke of Carrington, ND and Gail Ruth of Breese; and nieces and nephews. Bernard was a veteran of the United States Army and worked as a welder, retiring from Highland Machine and Screw Company in Highland. He enjoyed attending flea markets and auctions where he found numerous items to collect, tinkering in his shed, woodworking, fishing, and raising small farm animals and birds. Funeral Services will be Friday, March 22, 2019 at 10:00 a.m. at Grace Community Baptist Church in Trenton with Rev. Bob Marsh officiating. Interment of cremains with full military honors accorded will follow in Trenton Cemetery. Visitation will be Thursday, March 21, 2019 from 4:00-8:00 p.m. and again on Friday, March 22, 2019 from 8:30-9:45 a.m. at Moss Funeral Home in Trenton. In lieu of flowers, plants, and other gifts, memorials may be made to Hope for Tomorrow Children’s Home in Guatemala, Murray Parents Association, or Grace Community Baptist Church and will be received at the funeral home.